K-IMPORT s.r.o. supplies suitable replacement engine spare parts for all major diesel engines. We offer you a choice between genuine parts or high quality OEM alternatives as well as reconditioned parts, all available from stock or within short term notice. 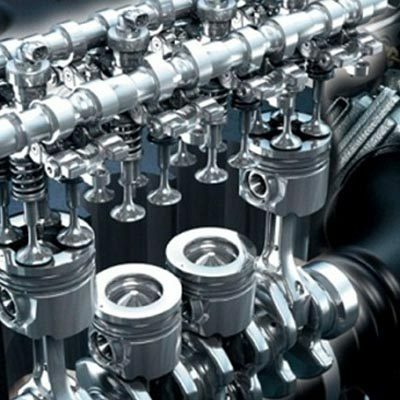 Depending on your engine, we supplies aluminium cast ring carrier pistons, thin wall cast iron pistons or composite pistons with steel crown and aluminium skirt or cast iron skirt. The carefully chosen chemical composition of materials ensure maximum lifetime and optimal performance. Each piston is checked according to the original specifications.